After leaving the Badlands, I headed west, and was excited to see a sign along the highway for Belle Joli winery. I’d discovered their wines on a previous pass through and brought home bottles to share with my sisters and friends. I hadnt had them since because South Dakota doesnt allow for the shipping of wines. 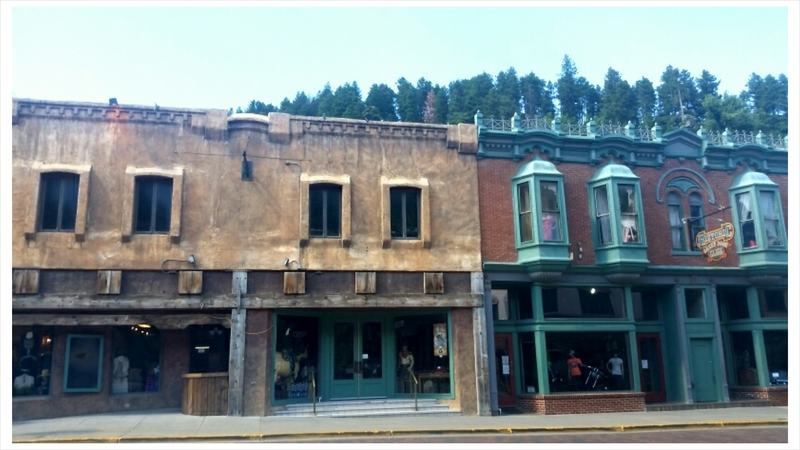 The tasting room I detoured to was in the historic town of Deadwood. I’d forgotten how fun and interesting the town was. The historic buildings are gorgeous and the campy nods to the buildings’ histories (like the Lady of the Night manequins in upstairs windows) were amusing and sometimes oddly charming. Everything, down to the kitchy souvenir shops, had a touch of the old west. Within the first twenty minutes there was a “gunfight” at the local hotel, announced by a gentleman in old west garb…..after he fired a gun in the air to get our attention. 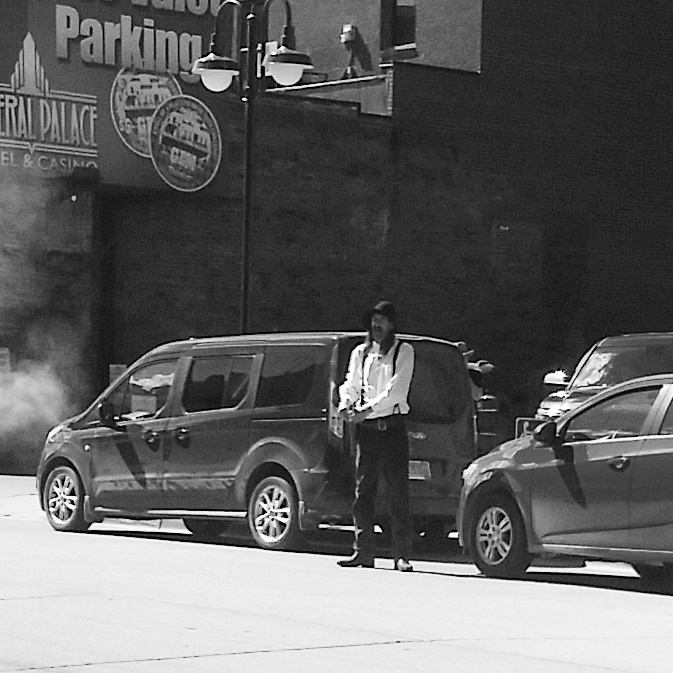 There was a distinct difference in attitude in Deadwood than in Wall Drug. I enjoy Wall Drug for what it is- a silly, tacky, over-priced tourist trap with tons of camp. But, I never stay long in Wall – a tour through the shops and I’m done. The shops are manned by mostly older locals and exchange students. On several occasions, I encountered strangely xenophobic attitudes, including one woman who went on at somem length giving examples of the types of people that made them have to be extra careful that they werent stolen from or defrauded with stolen credit cards— bikers coming through for Sturgis, the Rainbow Family and, said in a cautious whisper, she thought there was a mexican gang in town “maybe Los Lobos”, under the guise of a family reunion. In happy, relieving contrast my experience in Deadwood was much more light-hearted. Locals, young and old, were friendlier, both welcoming and kind. I spent as much time talking to people as I did wandering. I learned that for me, a smile encourages shopping and seeking advice for items I might be seeking. And that distrustful, tight smiles sending me running for the hills. I think I would’ve been happy to spend a full day (or two, or three) experiencing Deadwood, but for once I was on a bit of a deadline. I had plans later in the day to meet friend and fellow photographer, John Sperry, in Buffalo Wyoming. I was further challenged to keep to that schedule after leaving town and heading further into the Black Hills. Next time I come through South Dakota, I plan on spending at least a week or so wandering the Black Hills. I’m putting it in writing so I don’t forget again!